Savvy Spending: Amazon: 12 piece 3D Butterfly wall decor for only $1.40 shipped! 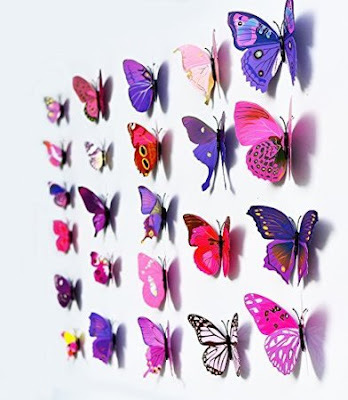 Amazon: 12 piece 3D Butterfly wall decor for only $1.40 shipped! Amazon has these cute 12 Pcs 3D Butterfly Wall Stickers Art Decor Decals (Purple) for just $1.40 with free shipping! These get great reviews and would be cute in a girls bedroom, bathroom, or to use for a birthday party! Hurry, prices can change at anytime!